No Presidents’ Trophy winner has ever been swept in the opening round of the playoffs. Yet Tampa Bay finds itself three periods away from an unprecedented post-season exit heading into Game 4 (7 p.m. EDT, CNBC). 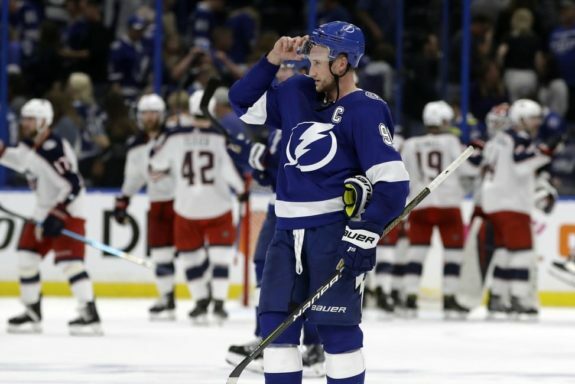 Related – Bolts on the Brink: Can Lightning Salvage Historic Season? Three games against the largely unknown and decidedly unheralded New York Islanders have come and gone. 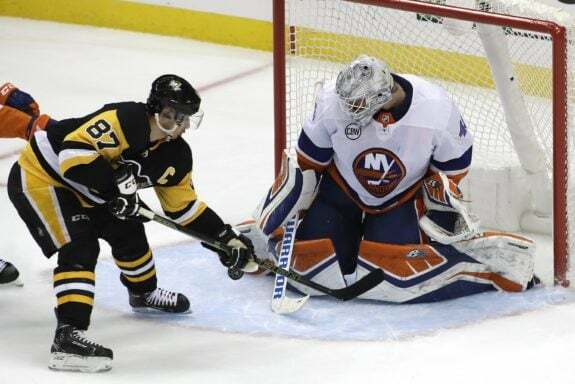 The Penguins don’t have a win , Crosby doesn’t have a point and if Pittsburgh can’t find a way to solve New York’s byzantine defensive structure and red-hot goaltender Robin Lehner (7:30 p.m. EDT, NBCSN), a team that entered the playoffs in search of a third Stanley Cup in four years will head into an off-season of soul searching. It’s much the same in Pittsburgh. 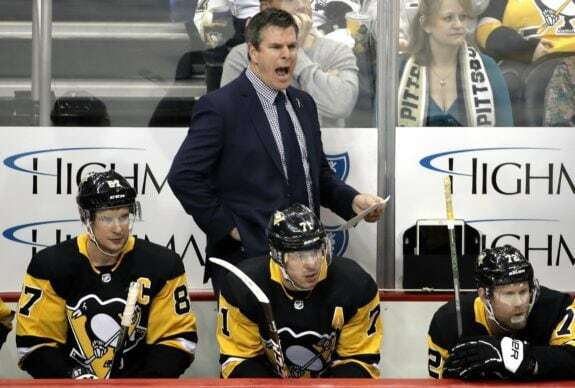 The Penguins own the NHL’s longest active playoff streak at 13 years and counting. Not once has their stay lasted just four games. Yet they have been unable to generate any sustained pressure against Lehner, a journeyman who is flourishing at the back end of coach Barry Trotz’s defence-first system.